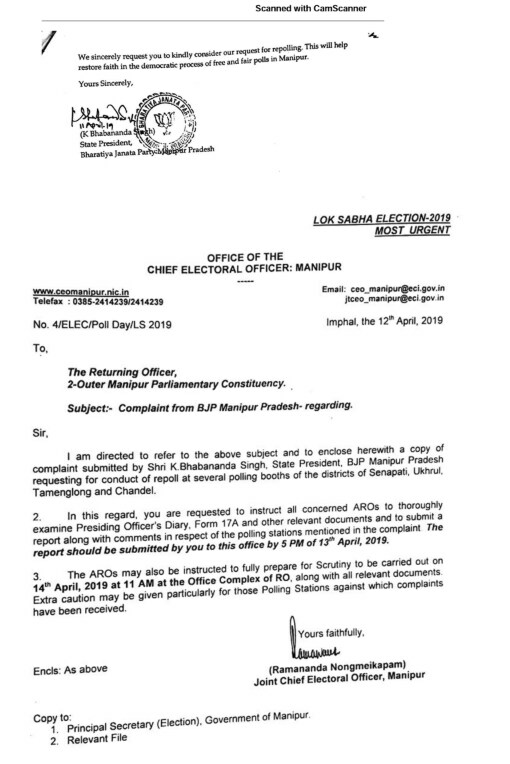 Guwahati: The BJP in a complaint with the Manipur Chief Election Officer alleged that the National Socialist Council for Nagaland (NSCN-IM) cadres forced people to cast their vote for NPF candidate Lorho Mao from Outer Manipur constituency, which went to polls on April 11, and has also sought the disqualification of Mao’s candidature. "In several places of Ukhrul and Senapati BJP workers, ADC (Autonomous District Councils) members and leaders were kept under house arrest by NSCN-IM cadres to not let them cast their votes. 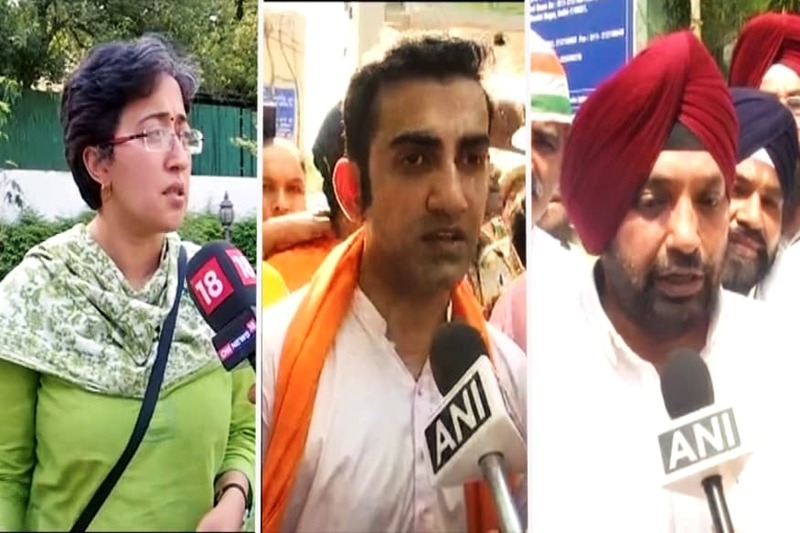 BJP agents were also not allowed access to several polling stations," the letter stated. 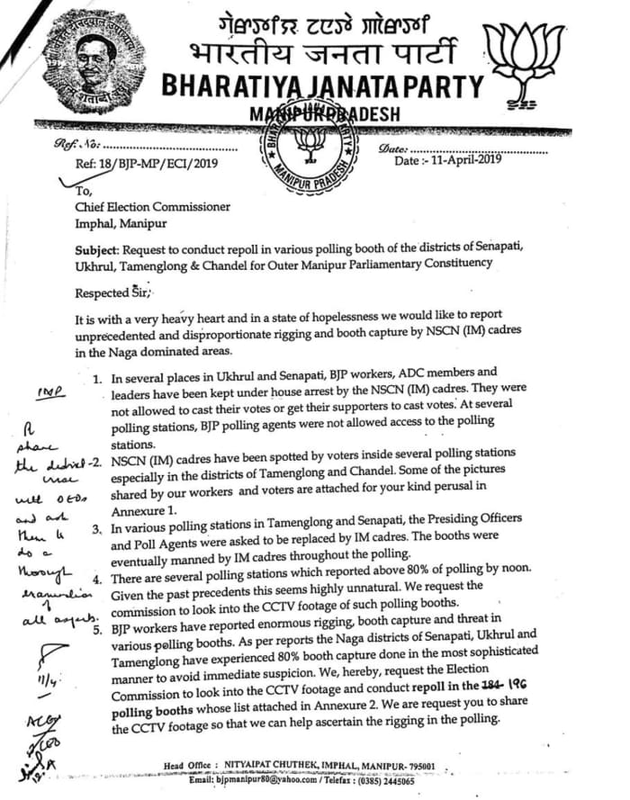 Giving further details the SP of CID said, "On April 6 at around 7:30 pm, more than ten cadres of NSCN (IM) came to Phungsanamai village and imposed diktats on the villagers to vote for the NPF candidate and warned for dire consequences if they do not". Earlier, the chief of Kuki National Army (KNA) Thangboi Haokip has issued the diktat at a gathering in D Muonnaphai village, Moreh (bordering Myanmar) where the village chiefs were present. Referring to BJP candidate for outer Manipur, HS Benjamin Mate, he warned that if required violence will be resorted to.